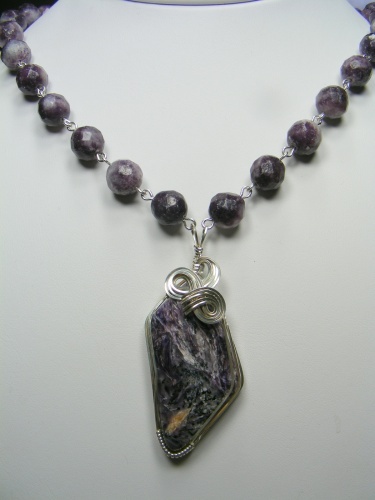 This beautiful necklace is made of a Russion Charoite focal enhance with sterling silver curls and matching beads. Soft yet a big statement. If you love purple this is for you. Comes with complimentary earrings. Measures 17".